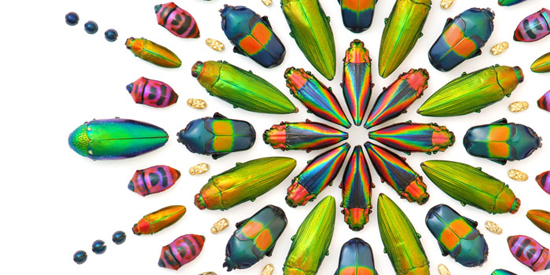 Creative Sketchbook: Christopher Marley's Mesmerizing Metallic Bugs! 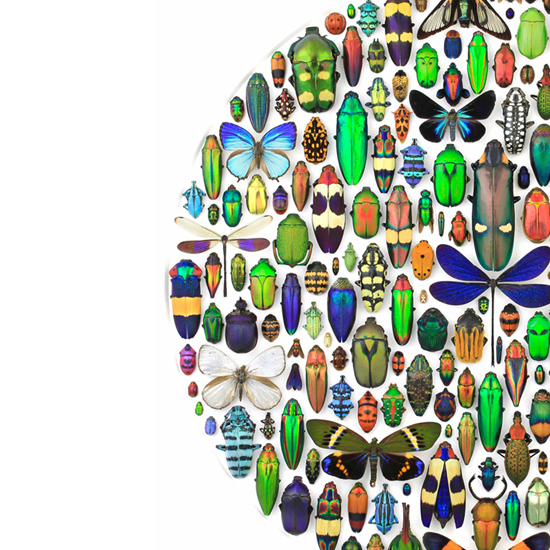 I am rather excited to share with you, as I would call it 'the striking art of the insect'. 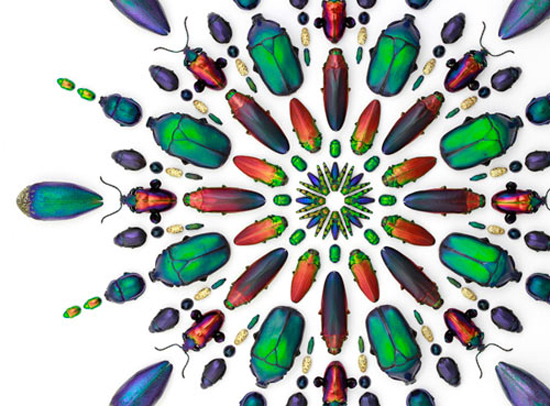 Christopher Marley creates mesmerizing arrangements of jewel-like creatures that include real insects, butterflies, bugs, beetles and fossils. 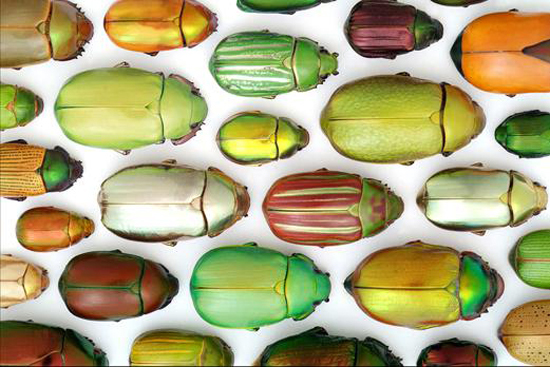 I cannot take my eyes off the array of iridescent and metallic colours captured in his collections. 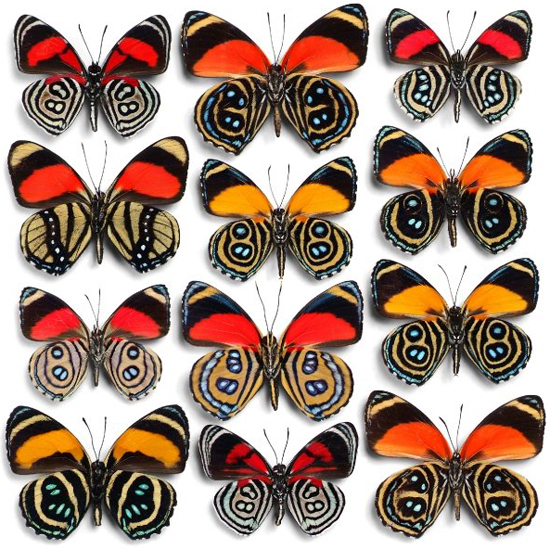 Amazingly Christopher does not digitally enhance or alter any of the images, they are just as nature intended. 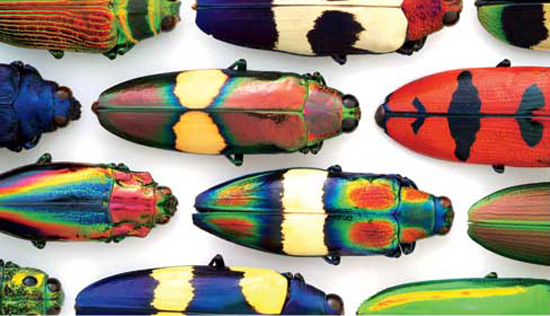 Christopher goes through a meticulous creative process of choosing and arranging his insects for maximum visual effect. This exotic exploration of shape, size, colour, texture and pattern successfully results in almost seamless pieces of art. He must have to travel the world to far out locations to discover such jewels. 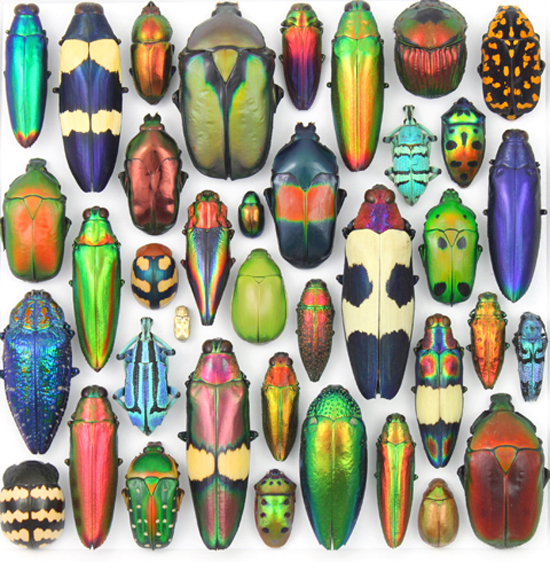 Interestingly Christopher spent his childhood running from every little creature that scuttled around on more than four legs and has now devoted his adult life to studying bugs with a great fascination. Click here to view his website or Facebook page!